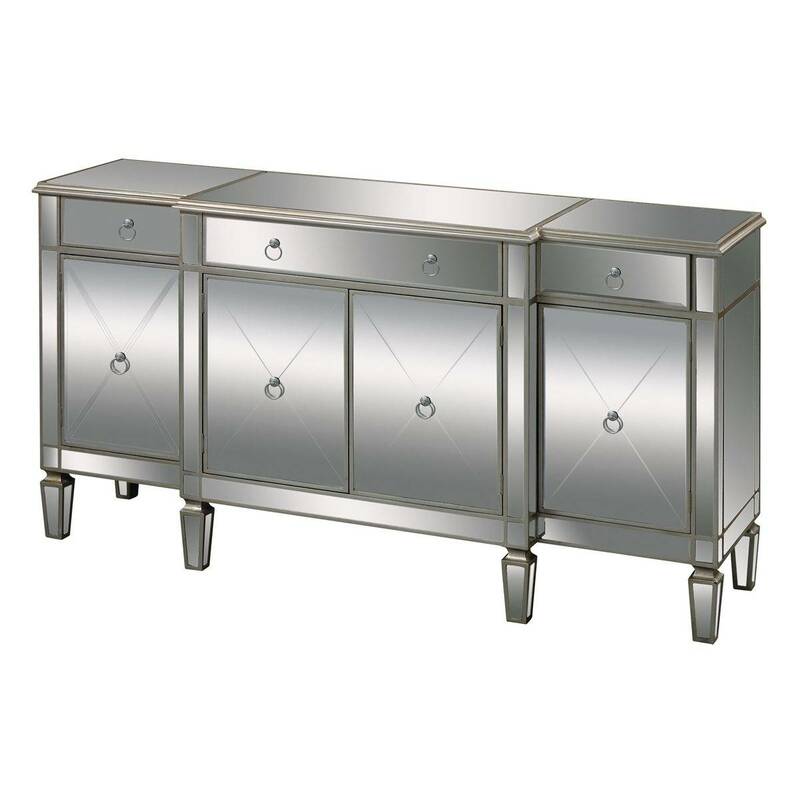 The Bodrum Buffet mirrored server makes an impact in a room. Silver ringed handles create ease of function and complement the hand painted champagne silver leaf edging. 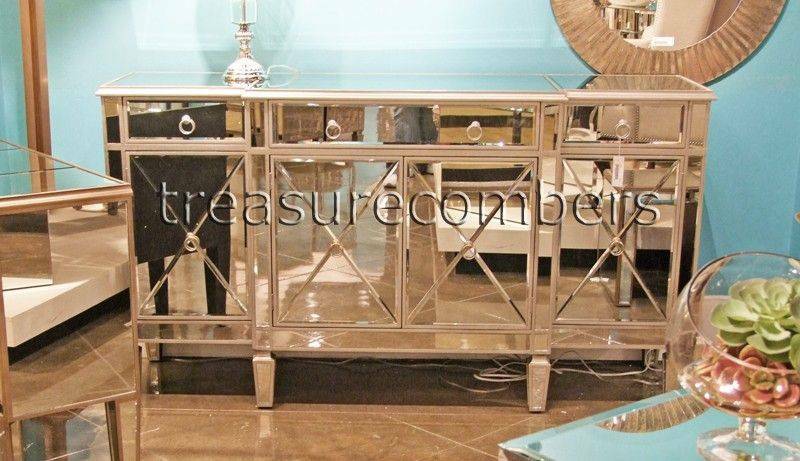 Traditional lines enveloped in a mirrored finish gives this buffet cabinet it's Hollywood Regency flair. Glamorous style and function!